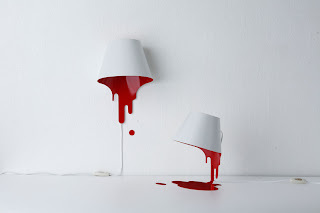 They call it a liquid lamp, but it looks like blood splatter to me! Product Page order via Rinkya Stores! I Had No Idea King Tut's Nose Was This Big! Merry Christmas Bentos Part 2! Merry Christmas Bentos Part 1! Rinkya Links For the Day! Win Arcade Mania from Nihon Sun! Half Suit Makes No Sense! A New Vintage Toy Store in Japan! Comfy Disney Pillows For Your Feet! World's Most Expensive Christmas Tree! Christmas Mugs Will Warm Any Scrooge!